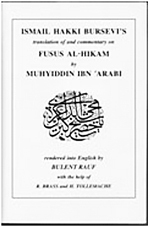 This seminal work by Ibn 'Arabi, dating from the 13th century, describes the meaning of universal human spirituality through the medium of twenty-seven prophetic figures, from Adam through Abraham, Moses and others to Jesus and Mohammed. Ibn 'Arabi's aim is to show how each of these luminary figures exemplified a particular wisdom available to mankind; a harmonious vision of reality which integrates differences without destroying them. Themes that arise range from explorations of uniqueness, fate and destiny, the place of worship and devotion, praise and service and the role of mankind. To read this book is to encounter the full scope of what it means to be truly human.